Take your drinks to the final frontier with these Star Trek lighted beverage coasters. You don’t want your friends damaging your furniture or your bridge consoles when they drink, so it’s best to set down some coasters. These coasters measure 4″ in diameter and are ceramic. The best part is that their lights change colors, making them ideal for your replica Enterprise bridge. They will also look good in your living room too. 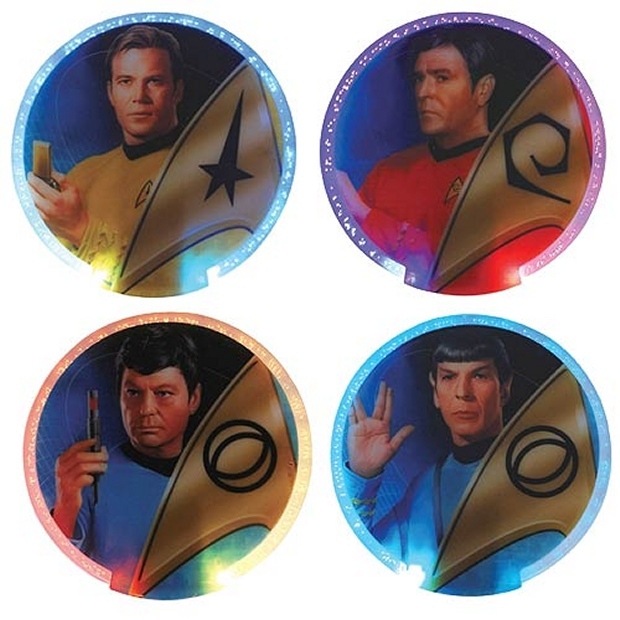 The set includes Captain Kirk, Dr. McCoy, Scotty, and Spock coasters. You can never have too many Star Trek items in your home. You can pre-order them right now for a March delivery.